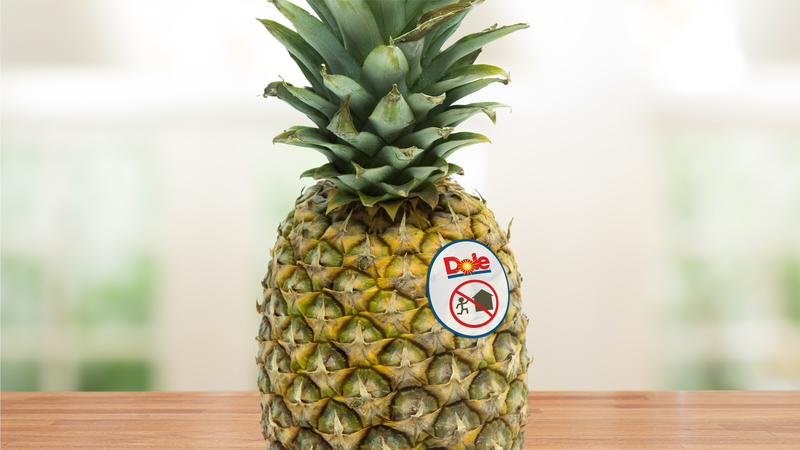 If you’re ready for your daily dose of optimism, check out this story about a company that genuinely cares about its customers: Dole is going to start putting warnings on its pineapples to discourage people from running back into a burning building to save them. Thank goodness! This is a simple solution that is going to save a lot of lives. Wow. It’s great to hear that Dole is thinking about safety just as much as it’s thinking about taste. This announcement should have all other companies looking up to Dole as a huge role model for public safety and corporate responsibility. Just because a pineapple has reached perfect ripeness, or because it kind of looks like a little pointy guy with green hair, doesn’t mean it’s worth the ultimate sacrifice—and this new warning sticker will ensure that people realize that. Thanks for looking out for us, Dole!